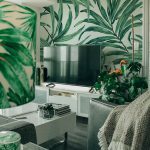 There are plenty of ways to reduce energy usage in your house which will save you a lot of money and won’t even cost you a penny to do so. 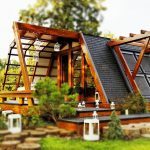 Around our houses, we all have bad habits that end up costing us a lot and wasting more energy. 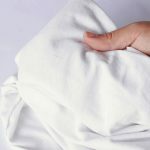 The following tips won’t only help you reduce energy usage, but also will put money back right into your pockets. 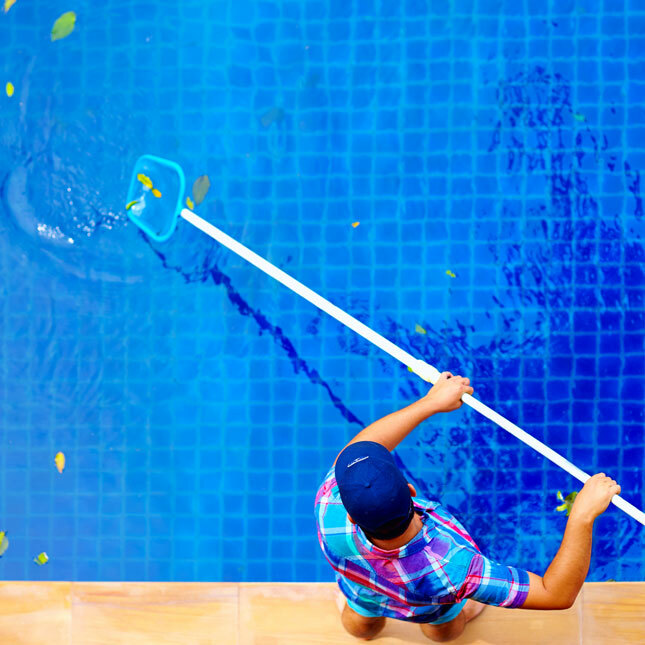 We rounded up 6 ways to reduce energy usage and save money. The majority of us are used to leaving electronic devices such as TV’s, Laptops or coffee machines plugged when not in the house. Many appliances use as much power when they are off. 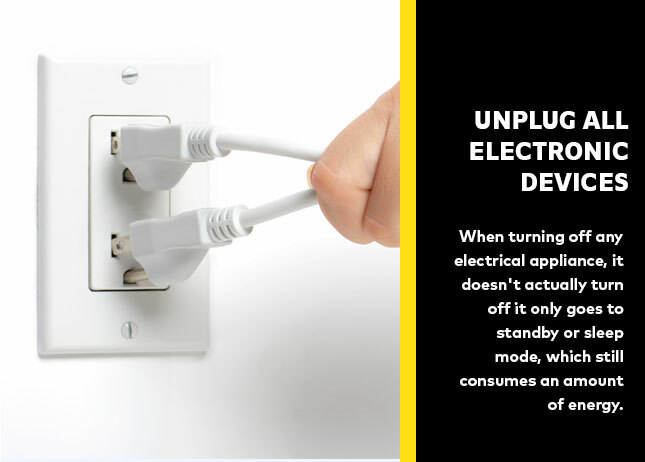 When turning off any electrical appliance, it doesn’t actually turn off it only goes to standby or sleep mode, which still consumes an amount of energy. A plugged mobile phone charger will consume around 1 watt with no phone is plugged to it, while when plugged to a phone, it will consume around 4.5 watts. When leaving a room, many forget to turn off the lights and others leave lights turned on all throughout their sleep. 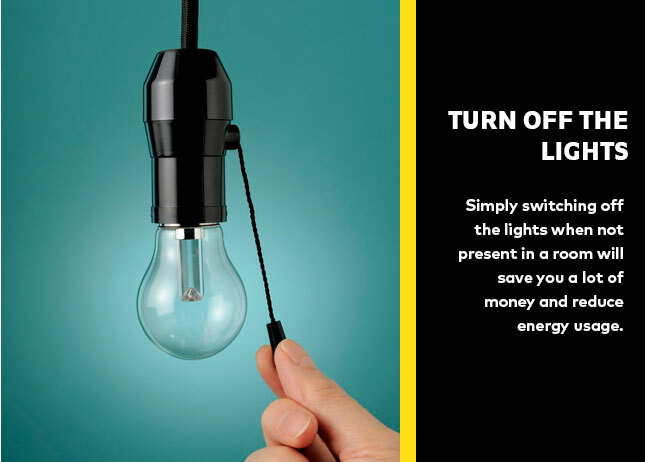 Simply switching off the lights when not present in a room will save you a lot of money and reduce energy usage. Check your rooms during the day for any forgotten switched on lights the day before. Also, outdoor lights are usually the ones left switched on for days without noticing. 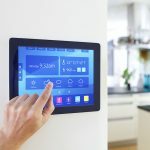 For homeowners who can’t seem to remember to switch off the lights, installing motion-sensor switches that turn off when no motion is detected in the room is the perfect fix. 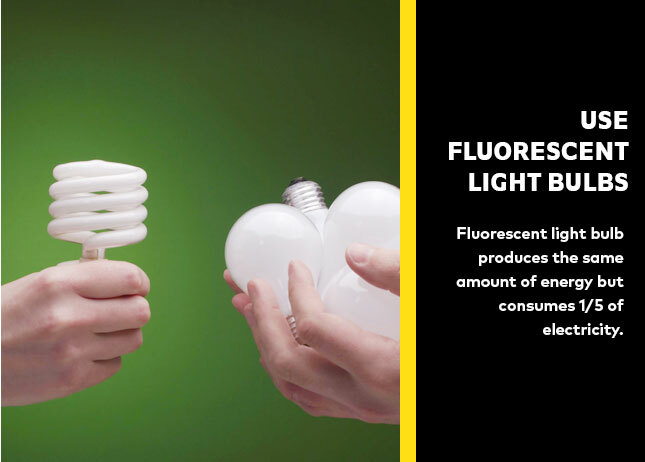 Fluorescent light bulb produces the same amount of energy but consumes 1/5 of electricity. They are more energy-efficient and last from 6 to 10 times longer than other types of bulbs. That’s not all as they are also much cheaper than other bulbs too. 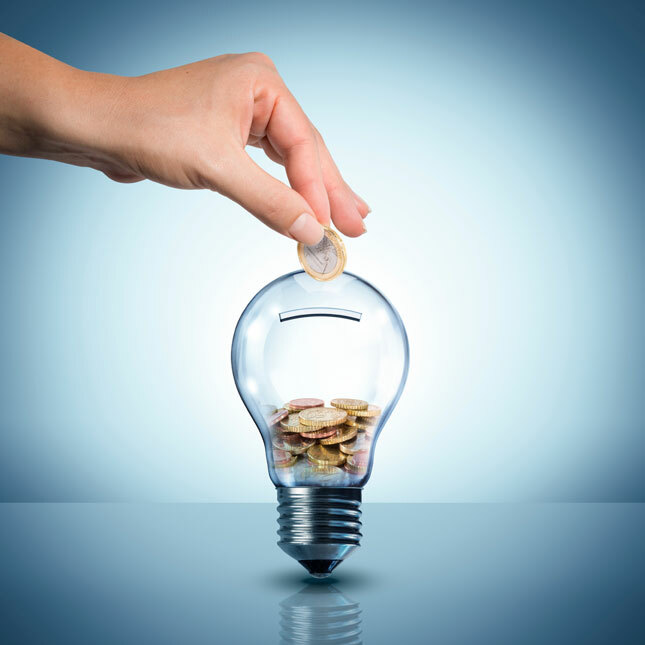 This is why fluorescent bulbs are the best choice for saving both energy and money. If you have an old refrigerator or an old heater, these old appliances consume loads of energy. This is why it is advisable to ditch these old appliances and purchase new ones. Yes! New appliances will be more expensive, however; they are designed to use significantly less energy than older appliances. 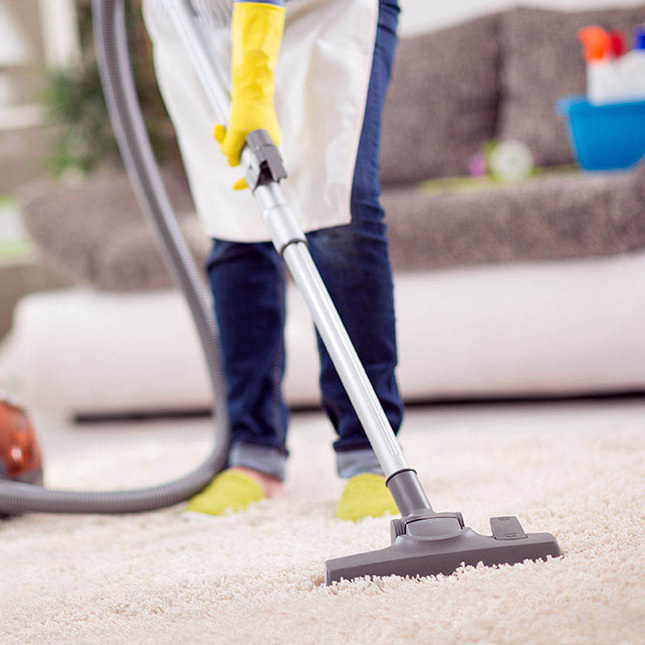 Newer home appliances are known to be “Energy-efficient Appliances” around the house. Spend more now to upgrade and you will spend less for the rest of your life. 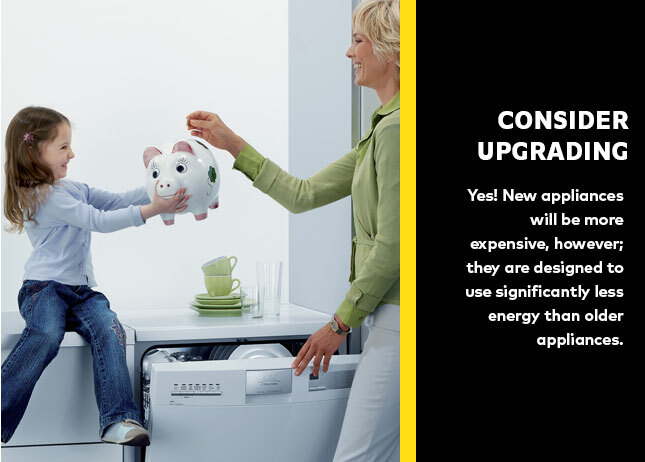 Even when you upgrade your home appliances, misusing them will consume more energy and cost you more money. Try not to peek while cooking food in the oven as this lets heat out and increases cooking time. If you have dirty dishes that you can wash instead of washing is dishwasher then do that and leave the dishwasher for full loads. The same also goes for air conditioners. 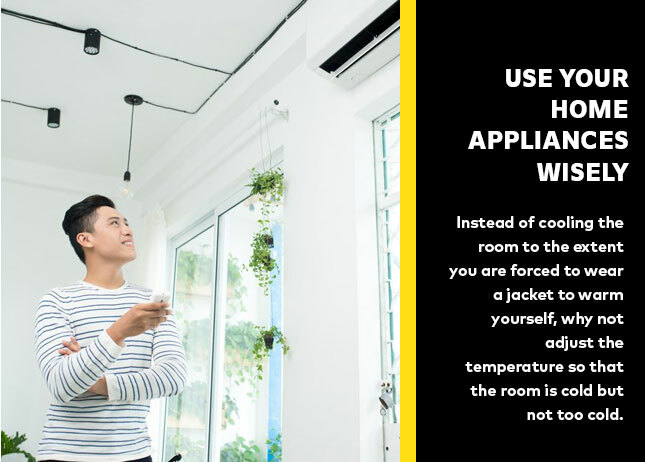 Instead of cooling the room to the extent you are forced to wear a jacket to warm yourself, why not adjust the temperature so that the room is cold but not too cold. 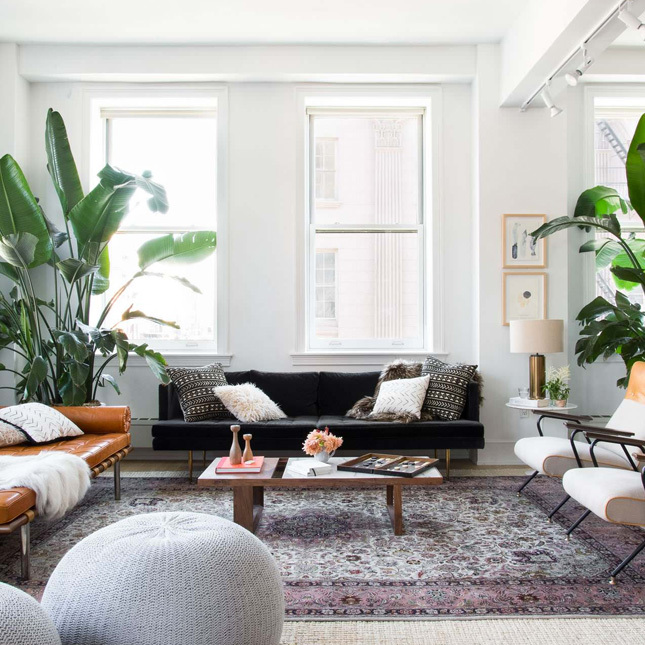 The more insulated your walls, floors and ceiling are; the less energy you are going to use. 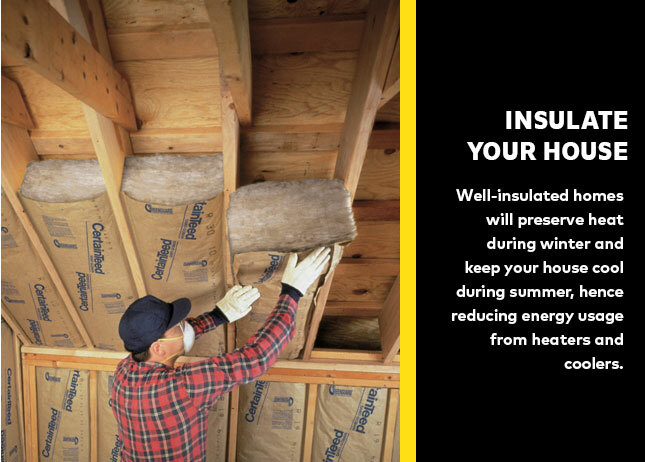 Well-insulated homes will preserve heat during winter and keep your house cool during summer, hence reducing energy usage from heaters and coolers. 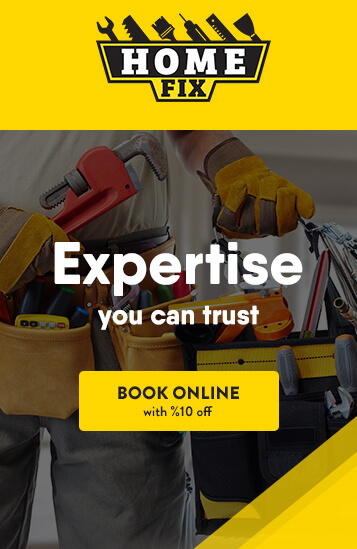 Also draft-proofing your doors and windows by sealing gaps or cracks act as energy-efficient ways to reduce energy usage.